Have you ever had a piano student ask you why they have to do theory work as a part of their studies? Students cannot intuitively see why it is important. They think learning piano is simply about playing songs or striking the keys. It takes a while to see how it all fits together (playing, muscle memory, theory, ear training). When these separate skills are developed, they combine to produce a powerful and beautiful result. As teachers, we see the big picture. They cannot. Today, I will show you how to grow your studio or music business. 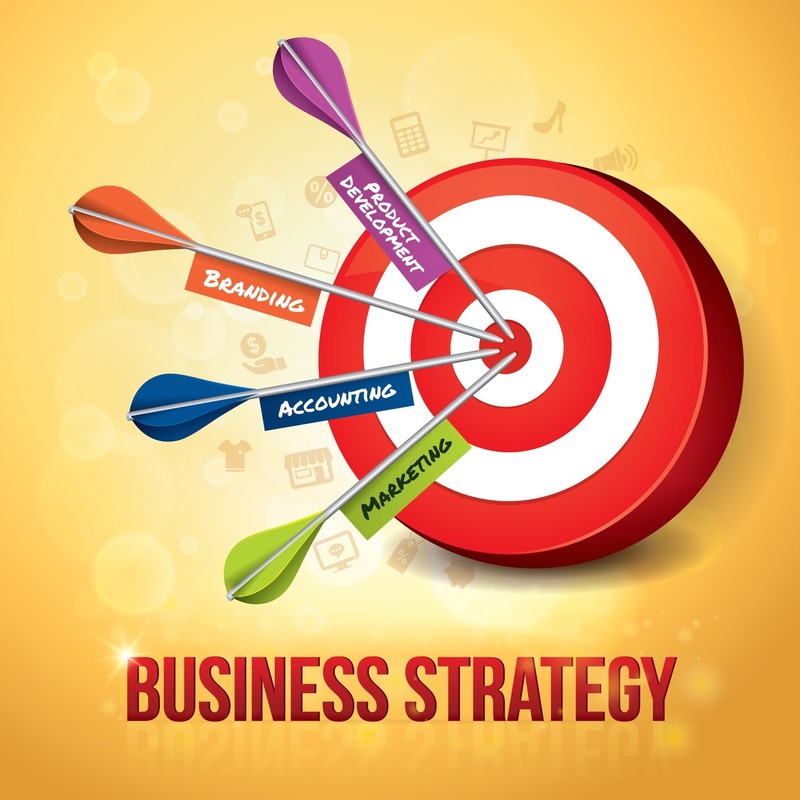 We are going to use a simple business theory that I learned from marketing genius Jay Abraham. It might not be intuitively obvious that you should care. Just like a new piano student, you might even resist having to learn a “boring business theory”. I can assure you that it is well worth your time. Applying the concepts in this article could grow your music studio or teaching income by 10%, 20%, or even as much as 50%! It is a big part of increasing your income, as I wrote in my guide about how to make $10,000 per month teaching piano. This article will require a 15 minute investment of your time. It might seem more difficult. Growing a business might seem complex. By knowing these three principles, we can focus in on the exact steps that we need to take to grow our studios. That focus will surely result in bigger success for you. When we talk about increasing the number of students, there are three primary ways that teachers can see more students. The simplest of these options is to increase your teaching load. This will only get you so far. Many of this blog’s readers are full to capacity (teaching from right after school until 8 or 9 at night). Other teachers who have written to me are in the twilight of their career or are anticipating another child. They are gradually decreasing the number of hours they teach. If that is the case for you, you might consider group lessons or training a new teacher to work for you. Personally, I chose to take option #2. 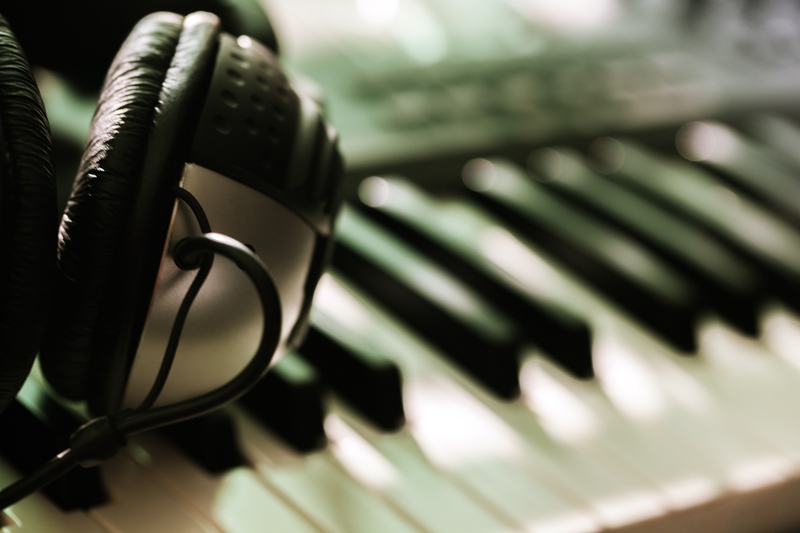 When I began teaching group lessons, I purchased several digital pianos and good headphones. I worked with 4 children per hour. Because of the group model, I was able to see 16 children per evening. All while finishing an hour earlier each night. It took me a little while to fully convert my studio over to a group lesson model, but it was well worth it. Third, you could have another teacher work for you. I have experience in this arena, as well. I used to be a partner in a 250 student summer camp. Each summer, we would hire college students and recent college graduates. They worked as our teaching assistants. At the end of the summer, they knew our teaching system… and the best of those assistants came on as teachers for us. Hiring those teachers made it possible for us to see more children. Our bottom line grew as a result. Finally, I would point out that you could do more than one of these strategies at once. Switching to group lessons and hiring assistant teachers could result in rapid, explosive growth! There is a challenge regardless of how you increase your student load. You must ATTRACT more students to your studio! This means that you will need to increase your marketing efforts. You will need to increase your marketing budget. You will need to increase your marketing effectiveness. I surveyed many of the readers of this blog recently about their advertising tools. The #1 advertising tool that most teachers use to get the word out are business cards. Now, it is certainly not my intent to disparage those efforts. But, passing out business cards is not a scalable activity (even for a small studio)! Nor is it as effective as other methods. There is a learning curve to both of these platforms – this is true. But, taking control of your studio’s growth is well worth it. You could learn how to use either of these platforms yourself. Or (if you are busy or technologically challenged), you could invest money in a professional building an AdWords account for you. I take comfort knowing that when I need students there is a switch that I can flip. I was able to bring in 38 students in 12 weeks last fall, simply by increasing my budget on AdWords. Admittedly, my account has been heavily optimized over the years; but the point remains. It is a powerful tool to have at your disposal. When I filled up my attendance, I just turned my budget off. Another Challenge: What If You Don’t Have Room In Your Studio? What if your studio enrollment is full? As I mentioned previously, you could resort to a group lessons program. Or, you could hire other teachers to work with you or for you. Sound crazy? It’s a lot simpler than you think. I hired a teacher on a whim once… just to experiment with the concept. It went really well… I wrote a very detailed guide on how to make hiring a teacher simple and easy. Increasing the amount you make from each student is more than just charging a higher tuition rate. There are actually many ways to increase the amount you can make from each student. Let’s say you charge $80 / month for lessons and the AVERAGE student stays for exactly two years before they leave your studio. The LTV of a new student is $1,920 ($80 per month x 24 months). Of course, some will stay longer and some will stay less. But, that average number is very important. How could we increase that number? How could we increase a student’s lifetime value to our studio? What if we could increase that student’s length of study from 2 to 3 years? You automatically get a 50% boost in profit. This also helps you if you are trying to increase your studio size. When students stay longer, you don’t have to replace as many students in your studio each year. In an average year, a teacher might need to find 10- 15 students just to maintain their attendance. There are many tactics that you can use to increase a student’s average length of study. That goes far beyond the scope of this article. However, a great method I’ve found is to bring in popular music to the lessons. Tim Topham has written extensively on this subject. One great article is Tim’s “Ten Commandments of Teaching Pop”. If you hold down turnover while maintaining new enrollments… growth is the result! Do you have great retention? Make it a part of your marketing. Parents trust a studio that has a great retention rate. Another creative way I’ve used to boost income is through beginner camps and “Book Blast” camps. I run camps for beginners during “break” periods ( spring, summer, fall, and even winter break). When parents enroll their children, I give them two options. Begin now or wait until the next break period for a beginner camp. Many choose to wait. What this means is that the first tuition payment I receive is 3x the normal amount because of that camp week. The past two summers I have run 4 weeks of camp. Some are beginner camps. Some are my rewarding “Book Blast” camps for returning students. As a result, summer is often my most profitable quarter! I mentioned it earlier in this article, but it bears repeating. Regular tuition increases are a must for a teacher. But, you should not rule out raising tuition by adding more value to your teaching practice. I raised tuition the year that I began having students enroll in the Royal Conservatory program. I was one of the few studios in my area doing it, and it was a mark of distinction. I played up this prestigious opportunity with new and returning students. We studio owners must show our value by educating the families in our studio about the opportunities we provide. There are many types of “buyers” out there. Some people are looking for the best opportunity. If you give them the opportunity to buy a “premium” experience, they will! Once again, I offer Disney as an example. 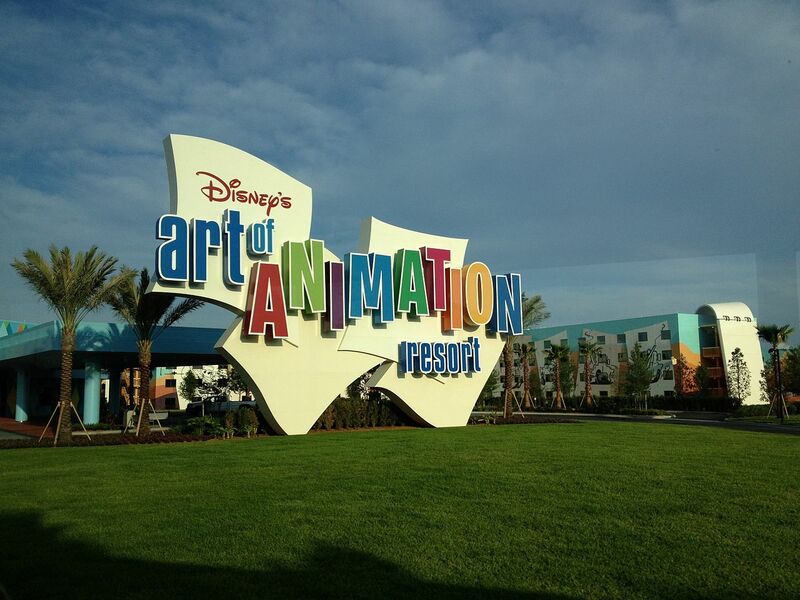 They have resort options ranging from budget conscious (Art of Animation resort) to outrageously extravagant (The Polynesian resort). Why would anyone pay $500/ night to stay in a hotel when they could stay for $130/ night? I don’t know – but tens of thousands of people do every year! Our businesses are not at all similar (I certainly don’t have any roller coasters in my studio). However, the principle holds true. If you offer two enrollment options, some people will take the higher priced one! You are leaving money on the table if you are not offering TWO different studio enrollment options. Let’s say your monthly tuition is $97 / month for traditional weekly lessons. Offer a $147 / month option. This option includes a special one day camp each quarter. Additionally, it includes membership to a number of music game sites where you enjoy a teacher discount. Finally, there are other unique bonuses you throw into the package. Some parents will automatically jump at this chance. On top of this, you will begin to get a reputation as a teacher who offers a premium service. You will begin to attract more premium service “seekers”. Over time, you will notice that more and more people take that “premium” package. They won’t necessarily take it because they were persuaded by your sales pitch. They’ll take it because they were looking for a “premium teacher” to begin with! Part of the reason for my success in my area is that I have become known as that teacher. Adult students will often buy into premium programs – especially young professionals with money to burn. One of my business students started a premium program for busy adults that allowed her to charge 40% more. She received a steady stream of enrollments while she accepted students into the program. 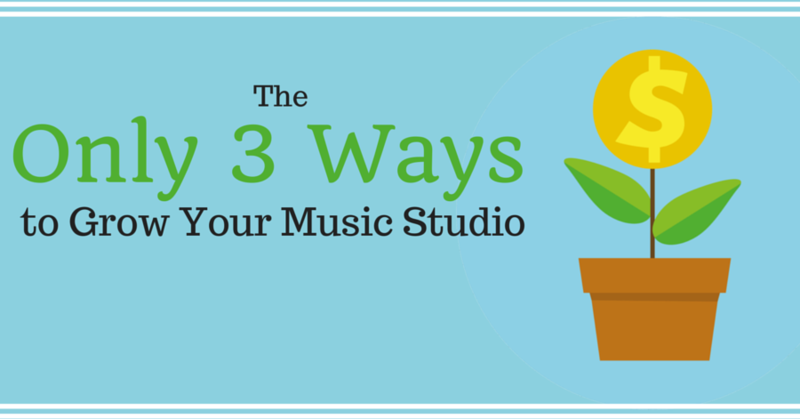 Of the three ways to grow your music studio, this is the most challenging for piano teachers. How do we get students to increase the number of times they purchase something from us? I have thought a long time about this particular method. I have only come up with a few ways to increase transaction. Because we are selling our time! When Disney increases transaction frequency, they simply try to get customers to return to their theme parks once every two years instead of every four years. Or, they get you hooked to their brand so you buy EVERY movie that comes out on Blu-Ray instead of just your favorites. As piano studio owners, it is not that simple. The standard for our industry is that students come see us once a week. This makes sense. Students actually need time between lessons to prepare their work. Thus, this will be the shortest of the three. I mention camps again because it is relevant to the discussion. You increase the value of your customer when they purchase from you more frequently. I’ve had families attend ALL FOUR camps in one year. They love piano. They took every opportunity to participate in opportunities I offered. The first year that I aggressively promoted my camps resulted in an increase of studio income of almost 15%. Did you know that you could buy piano method books at a discount? I added a modest revenue source to my studio by getting a teacher account with different publishers. For instance, Faber Piano Adventures has a 40% discount for teachers. They will allow teachers to purchase 2 complete sets of their entire series per order. Furthermore, you can order once per day! The result? That wholesale discount results in $10 of profit per book set sold. Even in a studio of 30 students you could make an extra $600 / year just by having student pass two sets of books per year. 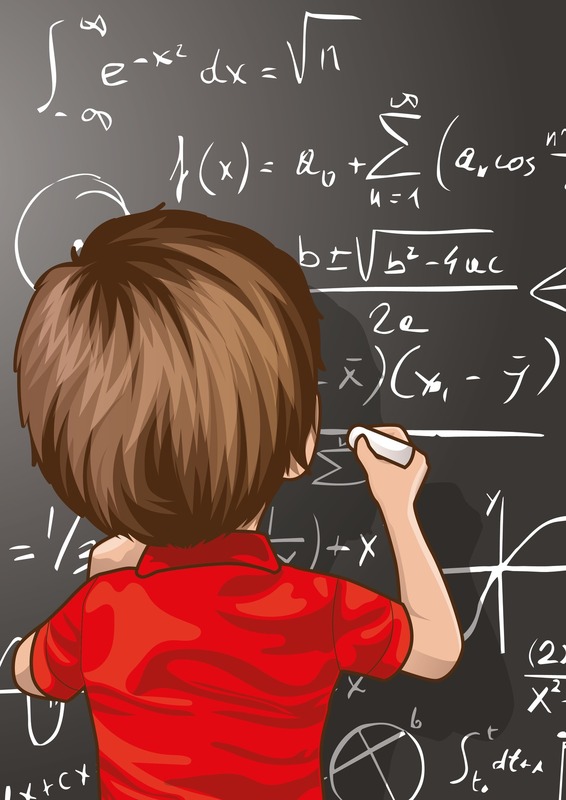 What I’m about to share is exciting – and I don’t even like math that much! To begin, let me ask you a simple question. What would happen if you increased by 10% in each business growth category? 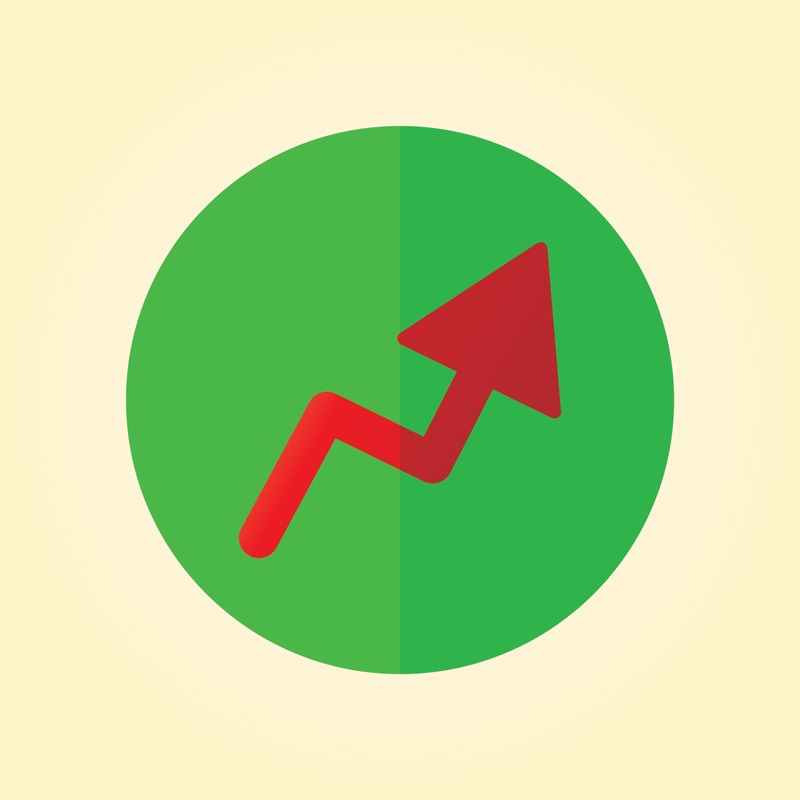 Do you get a 10% overall increase in your profit? It is much better than that. Stick with me here. Let’s take a small private studio and look at the math. Now, let’s increase each category by 10%. Instead of 30 students, you average 33 students per month. You enact a 10% tuition increase. Finally, you offer a summer camp. Only half of your studio enrolls but the cost of the camp is the equivalent of 2 months of lessons ($160). What is your new amount? Is it a 10% increase to $29,000 per year? NO! You have affected a 33% increase in growth up to $35,138 per year! A few percentage points of growth per tactic might not seem like a lot. When you add them up though… you get explosive, exciting, exponential growth! The music school begins a campaign to grow the studio. Instead of doing one-on-one lessons, they begin to convert over into a group lesson model. A big advertising push increases the studio size by 33%. Additionally, there is a 5% increase in tuition for the year. This increases the yearly revenue to $265, 650!… an increase of 61%! This has been a very high-level view of ways to grow your music studio or teaching income. This post was designed to educate and stir your imagination. I did not dive too deep into the nuts and bolts of how to run a summer camp or how to convert your studio over into group lessons. If you would like specific help from me on growing your music studio, simply click on the “Contact” button on the upper right of this page. Are you motivated or focused on growing your studio? Has this article gotten your imagination going? The biggest enemy of change is inaction. Start taking action now by leaving a comment below. Tell me which specific strategy you will start with… or ask a question if you’d like help. If you think you have to work longer hours in your studio to make more money, then you should fill out this form. Hi. Great article. Thanks. How do you charge teachers that you hire? Do they rent your space and they get paid themselves or??? Miriam – There are so many ways to do this. 1. Charge rent for a room. How do you choose? That’s a more nuanced conversation. If you’re serious about this, just shoot me an email or fill out my contact form! How long are your group lessons? Summer camps? Group lessons are 1 hour… the summer camp is a little bit harder to answer. The original version of the summer camp ran for 5 hours a day … that was the Piano Express. My scaled down version of that has run for 2 or 2.5 hours. Obviously, the prices are slightly different depending on the length of time! I would love to know more about your Book Blast,and on how you conduct your Group Lesson. I taught Group Lessons for a while and had problems with having too many different levels in one group, for example having kids who practiced with kids who hardly practiced slowing them down. Any thoughts on this would be appreciated. I’m interested in more information on your Book Blasts! Morgan, remind me and I’ll explain more about this on our phone call. How do you find the 40% discount for Piano Adventures? I didn’t see anything on their website. Thanks for all the great info! Tell them you are a Faber teacher and they will set you up with an account number FOR FREE! Can you give me more specifics on how you conduct group lessons? Also, what are some good sites to offer students memberships at? Thanks for the informative article. I did group lessons for a few years, and enjoyed the extra income…but found out the hard way (got reported) that my county business license only allows me to have one student at a time in my home. The cost of space rental was too high to keep them up. Any ideas? Terrific article! I am blessed with the blessing of a huge waiting list and would love to get these kids engaged (not to mention have their income). However, I don’t have any more teaching hours. More information on regular group lessons would be helpful. Also, can you suggest some of the music websites that we could include in a premium package? I’d also like to know about the music websites we could include. Thanks! Great article! I had such good luck with your makeup policy (my studio parents are thrilled!) so I’m anxious to try some strategies in this article. 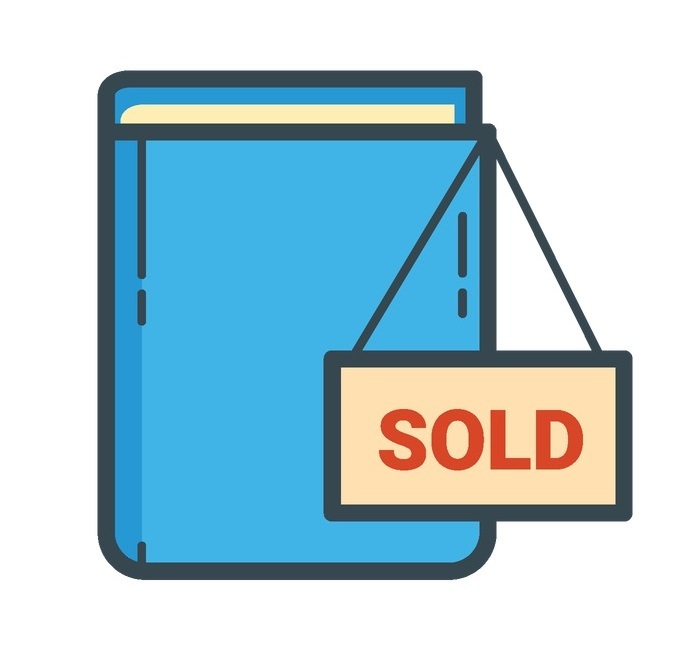 I don’t want to have more teaching hours, I don’t want to raise rates too much (although I do each year), I used to the do the book upsell, but now I just charge a flat rate for books and materials at the beginning of the year, and I don’t have to nickle and dime throughout the year. I used to do a summer camp…but it takes a lot of energy! I should consider doing it again. Laura, I actually do like your idea of charging a flat fee of the beginning of the year. If I’m being honest, I’m actually considering doing this myself this fall. Haven’t decided yet. I’m making some other huge changes, and I don’t want to overwhelm people. I’m really liking the “premium package” idea! I teach only group classes but I’m wondering if I could add in a few private lessons for the premium package? Or a Fri or Sat masterclass or mini camp, like composition or trending pop hits? As always, your posts get the wheels turning–thanks, Daniel! A songwriting camp can be a real hit if you are comfortable with teaching songwriting. I taught one back in the 00’s with a partner. Very fun, and it’s also quite rewarding and intellectually satisfying. Working with students who ALREADY have a firm grasp of chord theory and musicality in a camp setting is a LOT of fun.